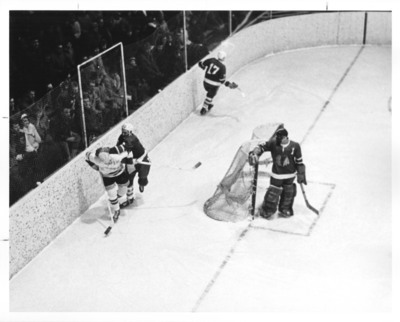 Photograph of UND vs. University of Minnesota Hockey game. A UND player attacks a Gopher from behind. This photograph can also be found in the 1967 Dacotah Annual, page 138.